But the tale doesn't end there. 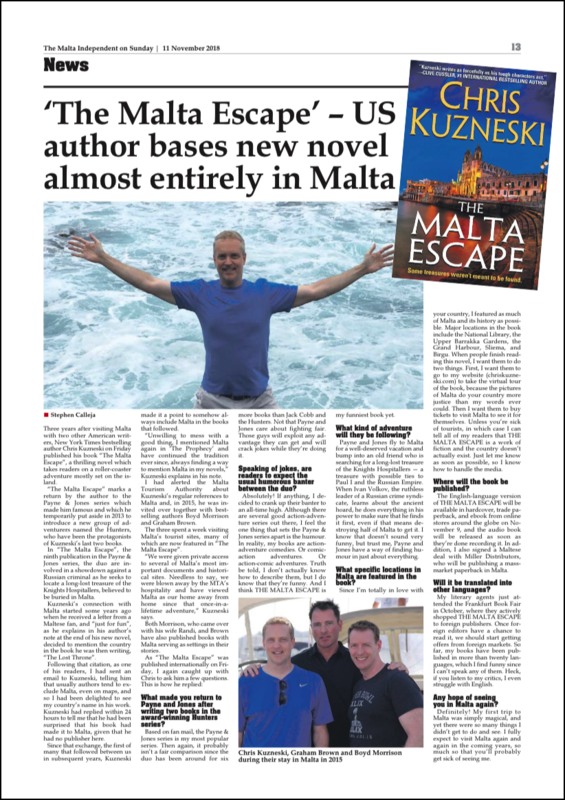 Thanks to the publicity generated by my books, I was flown to the Mediterranean by the Malta Tourism Authority to see everything that the amazing country had to offer. The trip actually made news in the UK. Click here for an article in The Guardian from June 30, 2015. 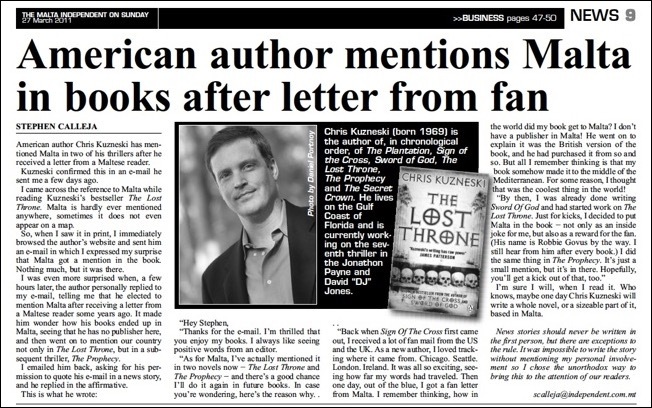 The trip (with two of my author friends, Graham Brown and Boyd Morrison) was also featured in the December 2015 edition of Suspense Magazine. To see several photos from the trip, please click here.